Micorosft Lync Online team released new three usage reports for Microsoft Lync Online. They are integrated with Office 365, and you can find them in Admin Center, reports. 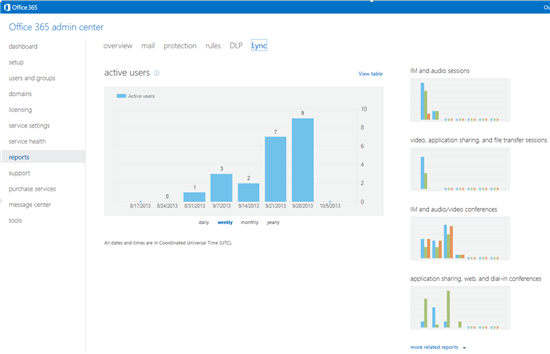 Active users – The number of users who have signed into Lync and took part in a P2P session or conference during a reporting period. 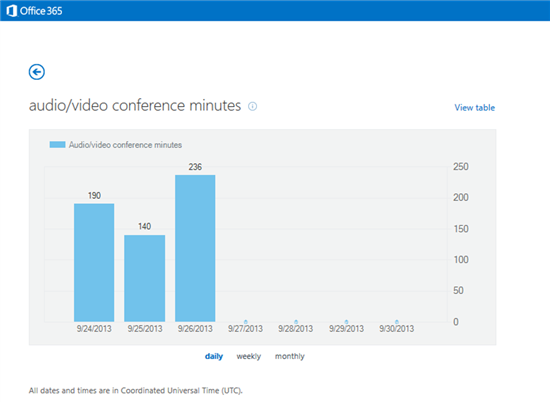 The last one is Total audio/video conferencing minutes – Total audio/video conference minutes during a reporting period. All of these report you can now find in your Office 365 admin center. 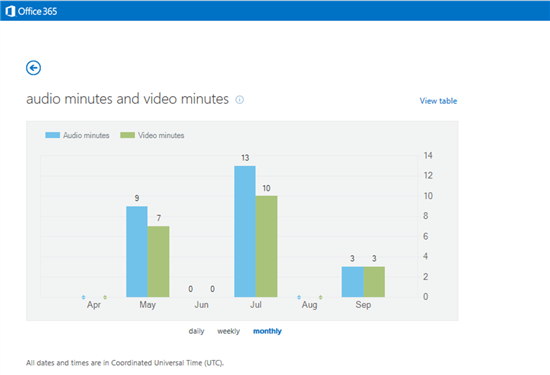 With the new reports, you can analyze Lync Online usage statistics within your organization with a automatically generated graphical representation. Releasing new reports doesn’t mean that you will not have powershell access to Lync Online. This will not happen. You can still get lot of information using PowerShell or REST reporting web services. Below you can find CMDlet’s which will allow you to get more information about Lync Online usage. You can easly use them to create great report about your Lync Online service. With all of these possibilities you can decide which report tool you want to use: GUI, PowerShell or REST reporting web service. Tagged Lync, Lync Online, Office 365, reports. Bookmark the permalink.